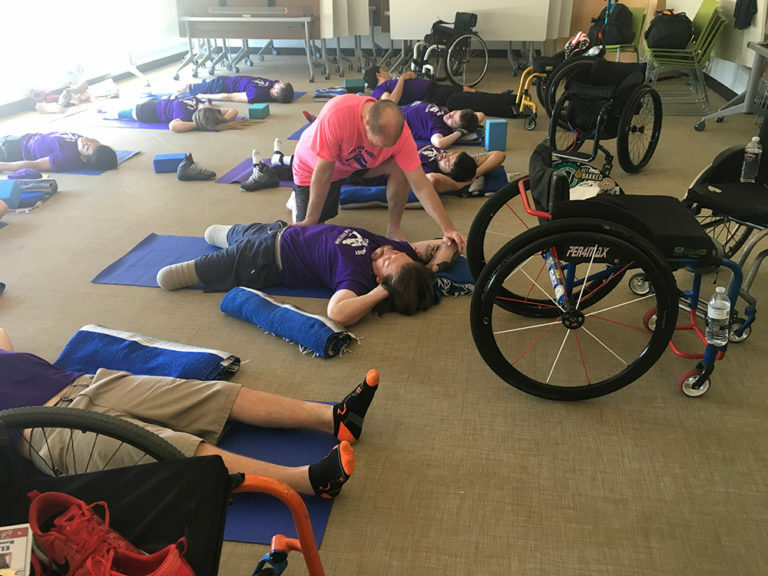 Tuesday afternoon, July 10, 2018, the UD Yoga team had a great time teaching two yoga classes to over 50 athletes at the USA Sled Hockey Development Camp at the University at Buffalo. This is the fourth year we have taught UD Yoga for the athletes, and it is always a fabulous experience! This year there were a lot of new athletes, with over 50% of the participants 17 or younger. Many of them were new to yoga, and we loved the opportunity to expose them to something new that they can continue to practice and benefit from on their own. It was great to see how open the athletes were to trying something new, as well as their focus, enthusiasm and sense of humor! Many thanks to Laurie Kennedy and everyone at USA Sled Hockey Development Camp at UB for inviting us back and making us feel so welcome. We had a great time, and are already looking forward to next year's camp! 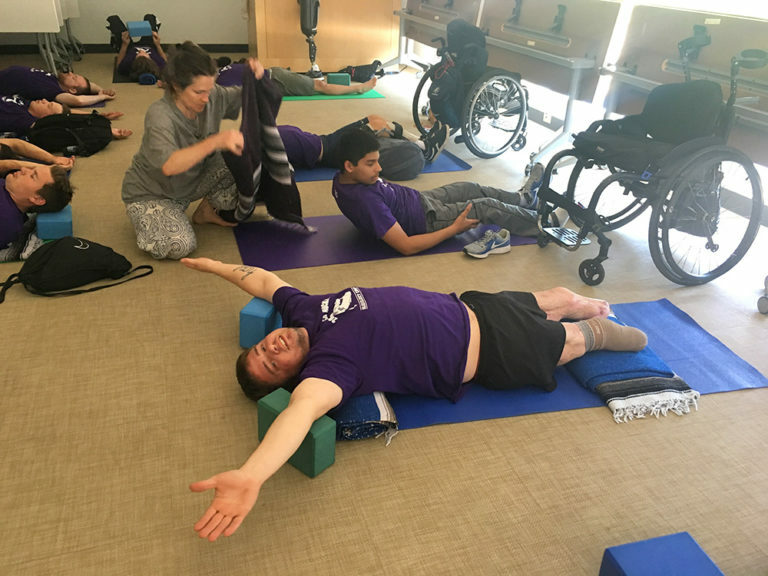 To learn more about how this routine was developed, watch our sled hockey yoga video here and check out this article about last year's workshop.